This recipe makes enough for two large racks of ribs. This recipe doubles well, so you could make extra dry rub to have on hand for future meals. Feel free to substitute any of the ingredients with whatever you happen to have on hand. For example, you could try omitting the nutmeg or adding ground mustard or ground cumin to switch up the flavours. In a small bowl, mix together all of the dry ingredients and then set aside. 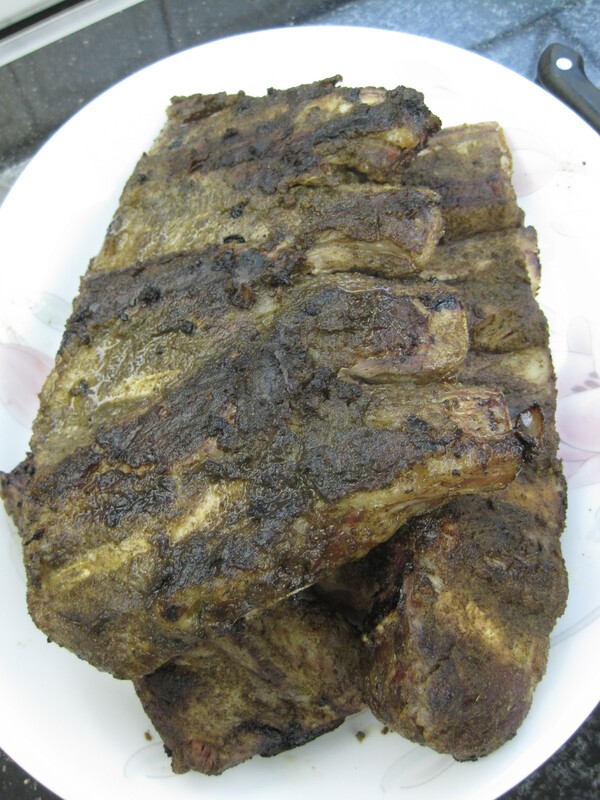 Rinse the racks of ribs under cool running water and then pat them completely dry using paper towels. Lightly grease the ribs on all sides using some vegetable oil. Then rub the dry rub in an even layer on all sides of the ribs. Allow the beef ribs to marinate for at least one hour. Then cook the ribs as per your preferred method (i.e. oven and/or bbq). In the middle of last year’s winter, our oven broke down, so I cooked these ribs using an electric grill.